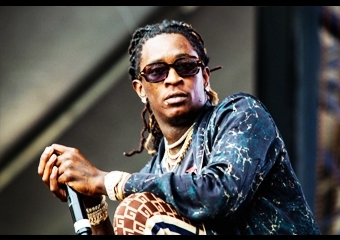 Just hours before he performed "Havana" with Camila Cabello at the star-studded awards show, Young Thug was put in handcuffs on Sunday (Feb. 10) in West Hollywood, Calif. Thugger was pulled over for a traffic violation while riding in a van with his entourage. It's unclear if Thugger was driving. Either way, police got everyone including the rapper out of van and placed them all in handcuffs. Law enforcement sources told the celebrity gossip site that one of the rapper's associates admitted to the officers that he was carrying a registered firearm. After further investigation, police discovered that the gun wasn't registered in California and arrested Thug's friend. They let everyone else free. Thugger was lucky enough to dodge a trip to jail just hours before the Grammys.